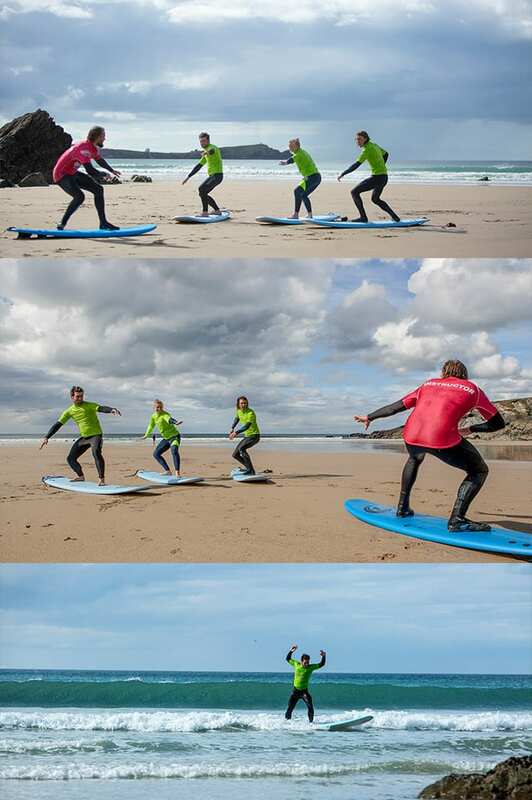 Learn to surf at Lusty Glaze beach in Newquay, a private little cove where you will be the only surf school in the water! Unlike other beaches in Newquay, we are based on a privately owned beach which gives you the exclusivity and space to progress quickly. We provide an overview of the basic techniques on the beach before hitting the water to learn how to ride the waves. Using foam boards that provide great stability, we aim to get you on your feet by the end of the lesson. All our Surf Lessons in Newquay are taught by RLSS lifeguard qualified instructors. Group & private surf lessons in Newquay are available. All you need to bring is a towel, your swimwear and a smile! All other equipment and tuition is provided. There is an option to progress to an intermediary level lesson and for an intensive 1:1 experience, why not book a private session for rapid improvement? Why not try one of our other activities or Jet Ski Safaris?